First off as I do every single year, I want to thank you for the amount of time and money you put into making the Yankees one of the elite franchises in all of sports. Yankee fans are very lucky to have an owner that is committed to winning as much as you are. I also want to commend you on not losing your temper this year and allowing your personal rep to make statements on your behalf. With all the pleasantries out of the way, let's get to the meat and potatoes of this letter. 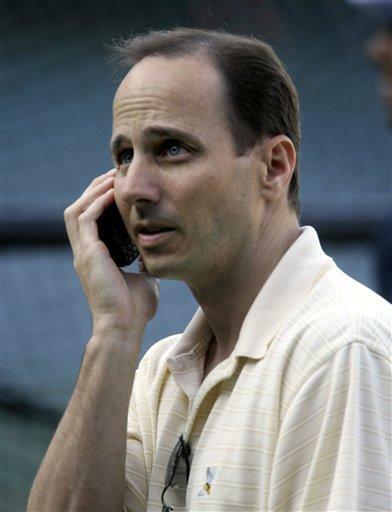 We are about to lose one the best GM's we have ever had if you are not able to put your ego aside and realize that you need to let Brian Cashman acquire the payers and you sign the checks. That's it. You don't need to have lunch with all the superstars you want to sign IE Gary Sheffield, Pedro Martinez etc, you need to let your GM handle that. You took a hands off approach for most of this regular season and Cashman managed to pick up some quality pitching in Chacon, Leiter and Small without causing the luxury tax to go through the roof. Now that Bernie, Steve Karsay and Kevin Brown are coming off of the payroll we can get players that will fit the payroll and contribute for years to come. Let the GM get Torii Hunter, who would just be the latest in a group of great Yankee center fielders. You would see plenty of defensive highlights with him patrolling center field. Don't overspend on Hideki Matsui. Yes he has knocked in over 100 runs every year and hits about 20 homers. Almost any decent outfielder out there could do that in that lineup, like Jacque Jones for instance. Do not, I repeat, DO NOT offer Johnny Damon a contract. He is injury prone, very outspoken in the clubhouse and has a pop gun arm best. Runners will take third base on him left and right. Secondly leave the starting pitching alone. With Pavano and Wright coming back, you will have 7 starting pitchers. There is no need to spend a ton of money on a head case such as AJ Burnett. Go after BJ Ryan, a hard throwing lefty who would be a great bridge to Mariano and allow Tom Gordon (who also needs to be resigned) to pitch less innings. He can also close a few games as an added bonus. The pen needs help, sign as many castoffs as possible to audition and get some good live arms in there. 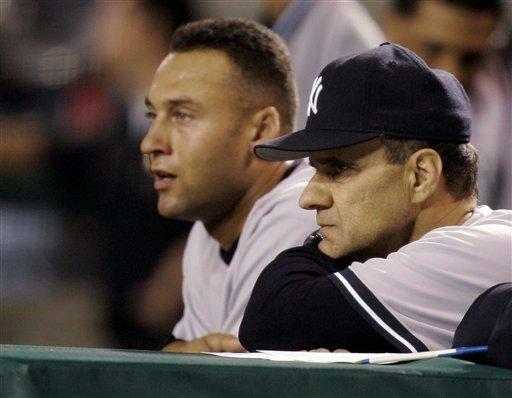 Let Joe Torre choose his own course. If he wants to leave, call Lou. If he wants to stay, let him manage. I think his resume speaks for itself. He has managed many different types of Yankee teams in his time and won with all of them. Even the greatest manager in the world gets done in by cold bats and bad relief pitching, don't forget that. That's all for this year. Just remember one thing though. If you happen to catch any more Angel games, keep an eye on the Vlad Guerrero in right field. Remember he is younger than Sheffield and isn't related to Dwight Gooden. God bless America and lets get number 27 next year.